Any person who supports BWA’s objectives and interests may apply online for Individual membership of BWA. This enables individuals who are not members of one of our Member Clubs to show support for BWA’s efforts on behalf of all bushwalkers in the state, and to enjoy several of the benefits available to our other members. Better bushwalking for Western Australia – Through membership, an individual can show support for BWA’s vision and objectives. 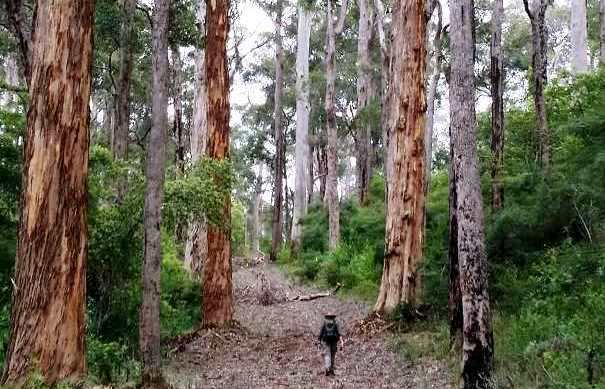 Awareness of recreational bushwalking and forest environment issues in WA – As WA’s recognised peak body and advocate for bushwalking, BWA keeps its members informed on a wide range of important issues that affect bushwalking opportunities and quality in WA. Bushwalking network – Involvement with BWA provides opportunities to meet and mix with fellow bushwalkers at general meetings and to participate on BWA’s working groups. Information – Receive up-to-date news and other information relevant to the wider bushwalking community, the walk trails industry, Government agencies, conservationists, the Shires and others; via this website and regular BWA eNews and email alerts. National issues – Be kept informed also of national issues affecting bushwalking (through BWA membership of Bushwalking Australia, the peak national body). Publicity – Individual members owning private enterprises are also encouraged to support BWA through sponsorship and extend their reach through display of their enterprise’s logo (with link) on this website and in our eNews, and/or by advertising with BWA. Individual Members of BWA are not covered under the insurances available to our Member Clubs. If you are already a member of a BWA Member Club you automatically obtain full BWA membership benefits through that club including insurances cover. Please complete and submit the online form with your updated contact details at any time.